This area works to ensure that guidance on infection prevention and control is developed, surveillance of HCAI is strengthened and proper education and training of health-care workers is organised. Determining the necessary structures and resources for the implementation of infection control programmes. Promoting adequate hospital organisation and management for the prevention of HCAI. 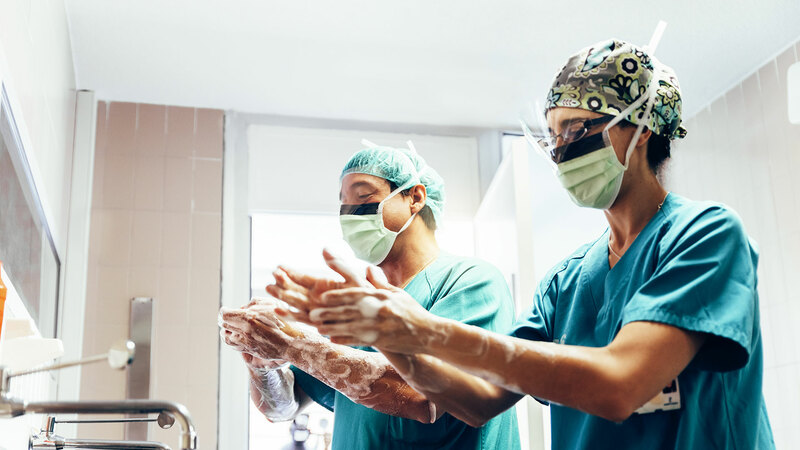 Incorporating infection control programmes into clinical practice for the improvement of health professionals’ compliance with infection control routine using institutional behaviour change tools. Developing tools to increase awareness and improve infection control and prevention training. Adapting existing policies and evidence-based guidelines on prevention of catheter associated urinary tract infections. Using an established implementation model that ensures co-operation between key levels (national/regional/local) and stakeholders. Promoting the implementation of similar working routines in EU and non-EU countries in Europe.